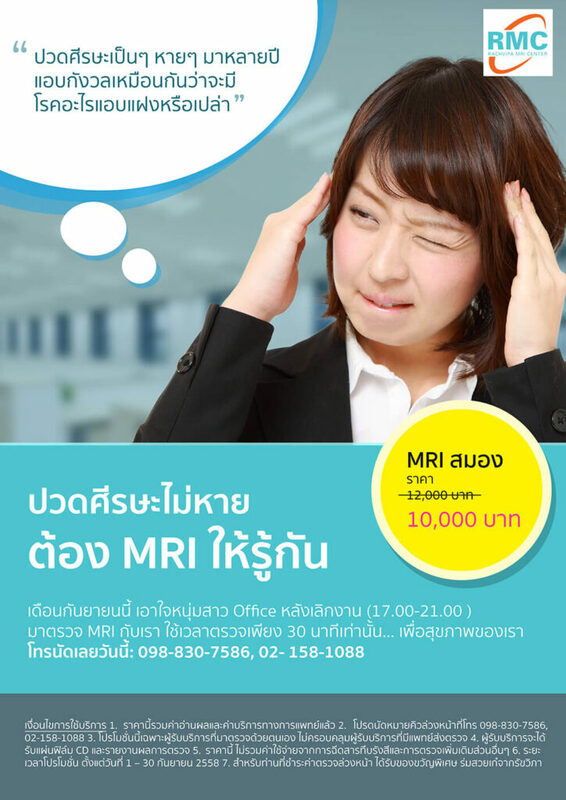 Brain MRI Promotion: Persistent headache? Let’s MRI! This price includes result interpretation and medical service fees. Please make an appointment in advance at (+66)98-830-7586, (+66)2-158-1088. This promotion applies to those who get their own health check-up; it does not cover those with a hospital referral letter. You will get a CD containing the films and post diagnosis report. This price does not cover contrast media injection cost (3,000 Baht if necessary) and additional check-ups. The promotion is valid from September 1-30, 2015. Get our special gifts and a Rachvipa umbrella for making an advance payment.